On January 17, 2019, New York’s Appellate Division, First Department, issued its long-awaited decision in Deutsche Bank National Trust Company, as trustee of the Morgan Stanley ABS Capital I Inc. Trust 2007-NC4 v. Morgan Stanley Mortgage Capital Holdings LLC, holding that MoloLamken client Deutsche Bank National Trust Company, as trustee for a residential mortgage-backed securities trust, could pursue a claim for punitive damages against the Morgan Stanley affiliate that sponsored the securitization. Morgan Stanley created the MSAC 2007-NC4 trust in 2007 after purchasing over $1.05 billion of mortgage loans at a bankruptcy auction. The trust was one of the last ones formed before the market collapsed in 2007. Years later, in 2014, the Securities and Exchange Commission found that Morgan Stanley had made “misleading public disclosures regarding the number of delinquent loans” in the trust that operated as a “fraud or deceit” on investors. The Trustee sued Morgan Stanley for breaches of its representations and warranties concerning the loans. As in most securitizations, the governing agreements contained a “sole remedies” clause that purported to limit the remedies available. The Trustee argued that the clause was unenforceable due to Morgan Stanley’s gross negligence. It also claimed punitive damages based on the SEC’s finding of “fraud or deceit.” The trial court dismissed both claims. The Trustee appealed, and the First Department reversed. The court first held that an RMBS sponsor’s gross negligence renders a sole remedies clause unenforceable. The court deemed the allegations of gross negligence sufficient here, citing in particular the extraordinary 100% breach rate found in a sample of the loans. The court also reinstated the punitive damages claim. As it explained, punitive damages are available for breach of contract only where the conduct is independently tortious, egregious in nature, directed at the plaintiff, and part of a pattern of misconduct directed at the public generally. The court found those requirements adequately pled here. 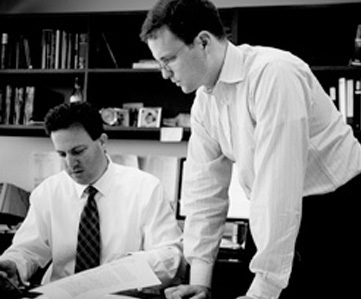 Emphasizing the SEC’s finding of “fraud or deceit,” the court concluded that the Trustee had adequately alleged that Morgan Stanley “knowingly misrepresented in the offering documents the delinquency rates of the loans held in the Trust.” The court deemed the alleged conduct not only egregious but part of a broader pattern of misconduct directed at the investing public. The decision marks the first time that a New York appellate court has allowed a trustee to pursue a claim for punitive damages in a breach of contract suit against an RMBS sponsor.